We all love skiing; the crisp mountain air, that incredible sensation of carving down a slope, the challenge of a black run, the pure unadulterated joy of fresh powder. Yet this alone is not enough for some people. Adrenaline junkies are finding increasingly dramatic ways to get their mountain kicks, whether it’s scaling some of the world’s most dramatic peaks or landing the world’s first quadruple cork. Even on a less extreme level, ski resorts across the world have seen an upturn in demand for adventurous activities that don’t involve skis or a snowboard. From fat-biking to para-gliding, these activities offer holidaymakers a chance to add a little extra adventure to their holiday. Holiday company Pierre & Vacances have capitalised on this demand, creating a programme of entertaining events to allow you the best possible experiences on the mountain this winter. So, which are the best ways to get your adrenaline on this winter? 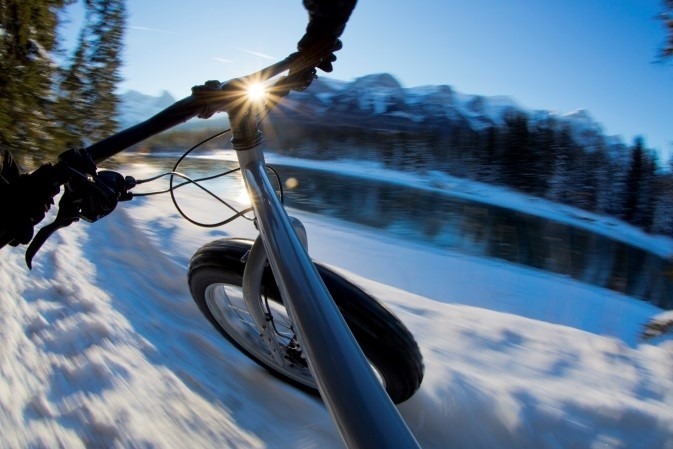 Available in Avoriaz and Belle Plagne, e-Fat Biking is the riding of an electrically assisted bike, which has oversized wheels specifically designed for a good grip on the snow. This offers a new and unique way to experience the mountains in all their glory, an experience totally different from what you might have enjoyed previously on skis or a snowboard. If you enjoy cycling or e-biking in the summer, be warned, fat biking is very addictive and may well become your new favourite winter sport! The addition of the electrical assistance means that this activity is easily accessible to all and can be enjoyed by groups of all abilities, provided you can handle the downhill adventure! The igloo village in Arc1950 provides a unique opportunity for you to enjoy an evening in a parallel world crafted of ice and snow. Spend an evening in a 400 m² icy village, where temperatures will not exceed 3 degrees but the atmosphere is sure to be warm and friendly. A torchlit walk will bring you to this magical destination, where you can refresh yourself with an aperitif at the ice bar. Here, tables and benches are decorated with warming animal skins and striking snow and ice sculptures. 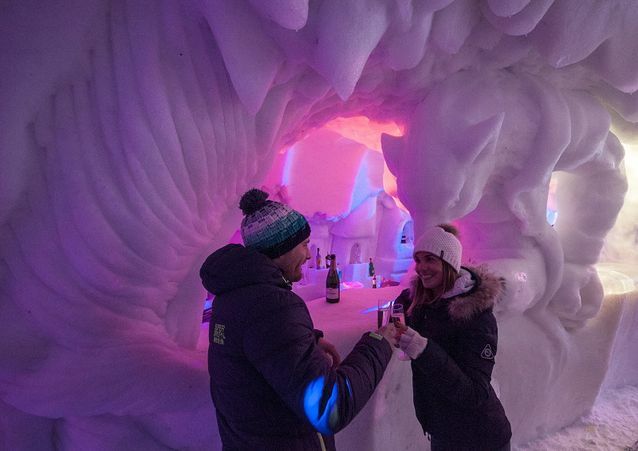 Throughout the different areas of the igloo village, you can experience a host of unusual experiences, from fondue dinners surrounded by snow, to DJ hosted evenings and even the opportunity to spend a night in the igloo! Set in the heart of the stunning Les Arcs area, with incredible views of the Aiguille Rouge, what could be better? Quad biking. On ice. Need we say more? For true daredevils and adrenaline hunters with a need for speed, this one is for you. Available in the fantastic resort of Flaine, in the heart of the large Grand Massif ski area, this is one evening activity you will be talking about for ski trips to come! Particularly popular with teenage boys (unsurprisingly), this gives you the opportunity to drive a quad bike in a truly one-of-a-kind setting, giving an experience unlike anything you might have in the UK. If it’s real adrenaline you’re after, this is the adventure for you. Always a hit with both adults and kids, dog sledding is one of the most magical mountain experiences you can have, surrounded by furry friends ! You can enjoy the awe-inspiring landscapes around you in a completely different way to when you are ripping up the slopes. The still, quiet nature of the mountains at night really is something to experience, as the dogs steadily guide you through some incredible scenery. Definitely a treat for animal lovers and mountain lovers alike and something children will be raring to tell their friends about. If, like us, you were glued to your television watching all sorts of events unfold at the Pyeongchang Winter Olympics earlier this year, you will most likely have seen the Biathlon, which involves lengthy cross-country ski routes, incredible accurate shooting skills and often some amazing battles for the finish line keeping you on the edge of your seat. It was actually one of our favourite sports to watch over the Olympic weeks, so when we heard you can try it for yourself in a much easier setting in Arc1950, we were sold! Shooting lasers at targets is generally something you would think children might enjoy more than adults, but you will be surprised… this mini-trial will get your adrenaline flowing! If you are travelling in a group that likes a bit of healthy competition, this is definitely one to try out. 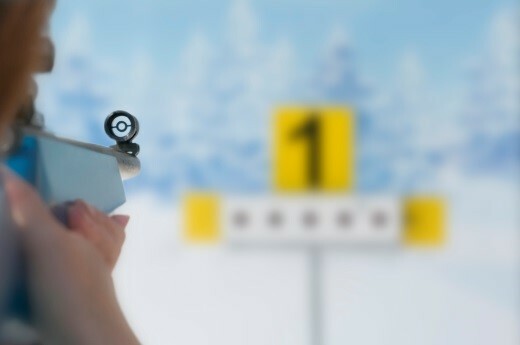 Laser Biathlon is available in Arc1950, where ‘Make My Day‘ options also include a Giant Snowball Fight… Intrigued? Us too! You can also try the real Biathlon in Flaine if you fancy taking things up a notch!